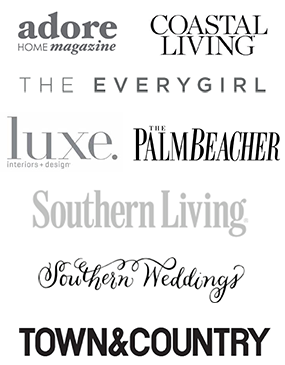 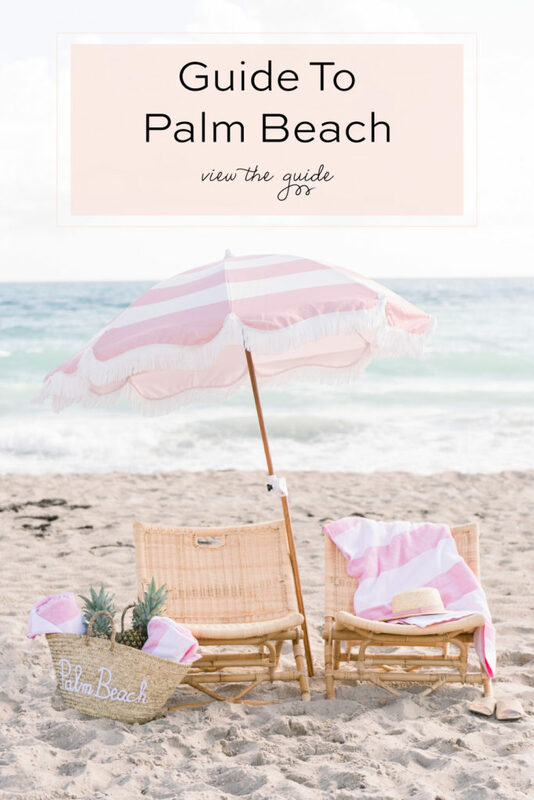 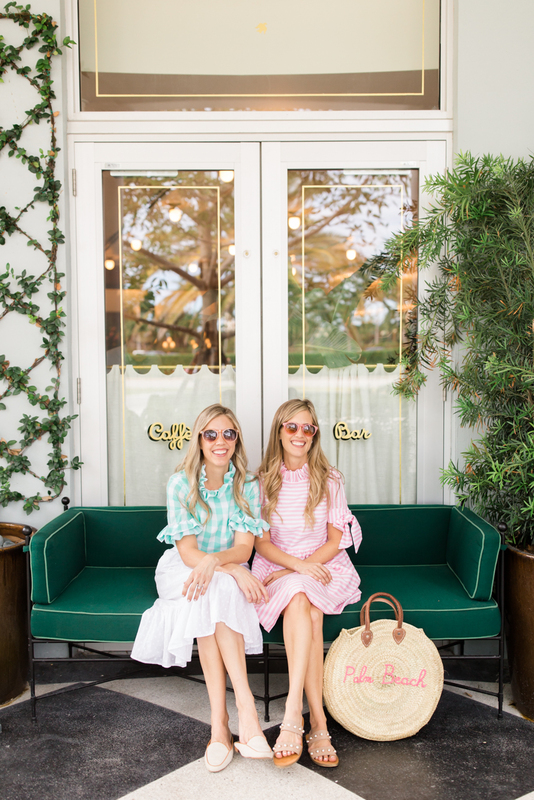 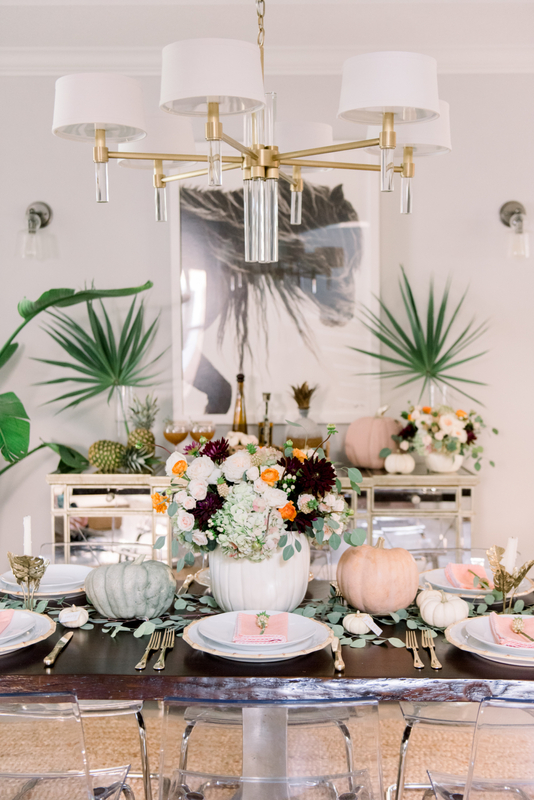 This fall season we were thinking of how we could mix in a little Palm Beach to our traditional pumpkin decor. 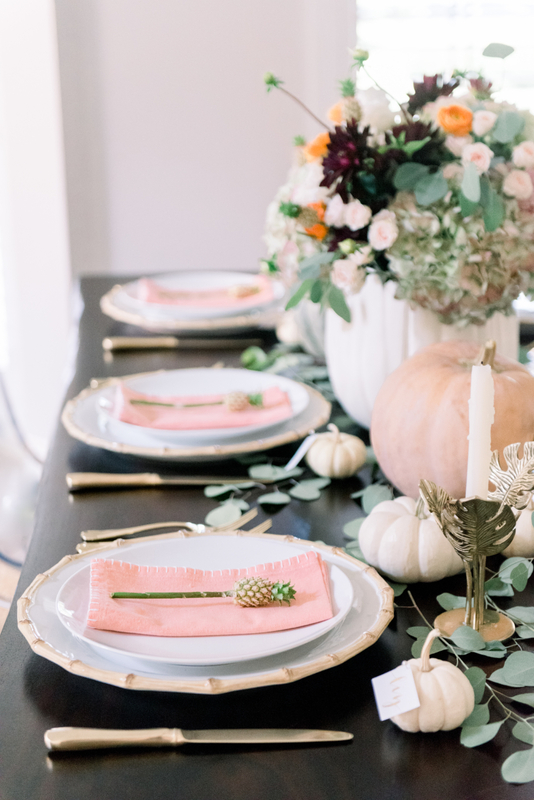 We were inspired by the pumpkin arrangement on the cover of Good Housekeeping magazine this month and thought it would be fun and festive to add a few mini pineapples to it. 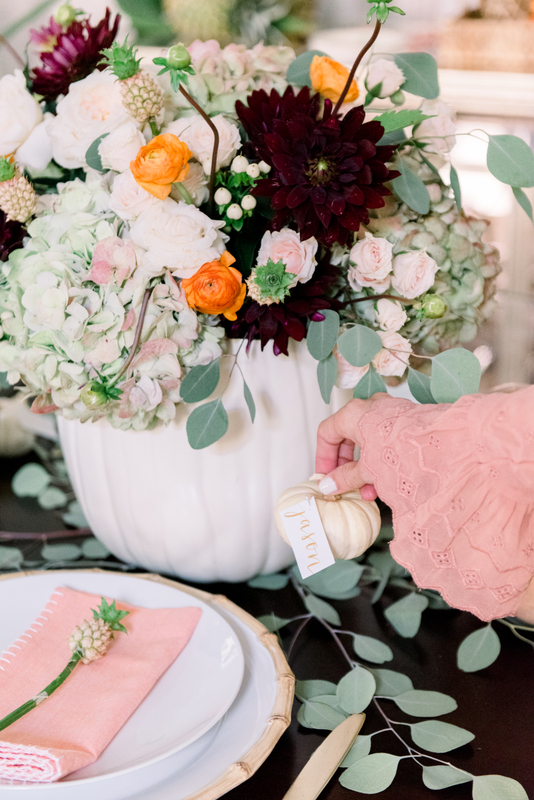 We asked Carla from The Event Group to help make our vision come to life. 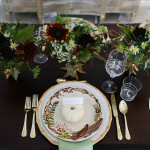 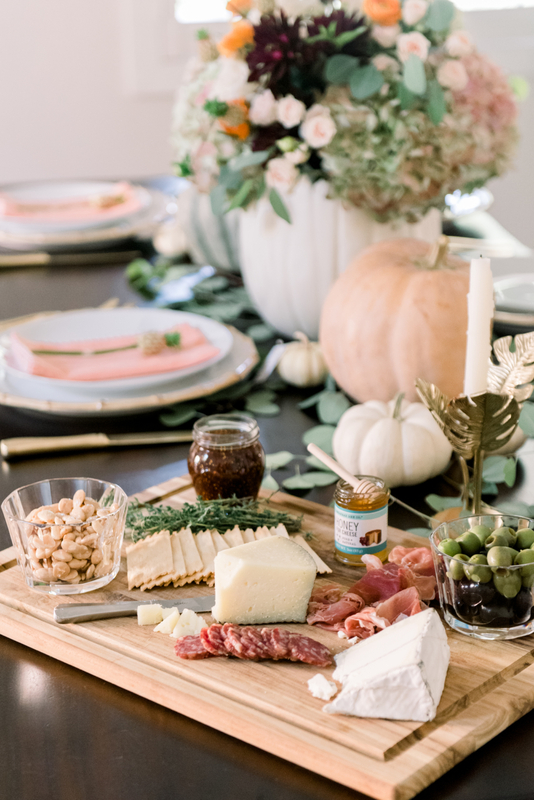 We used our favorite bamboo chargers and gold silverware from Juliska and added in a mix of pumpkins, florals, candlesticks, eucalyptus. 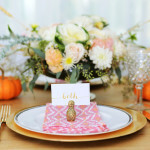 We added in some mini pumpkins as the placecard holders and placed mini pineapples on each placesetting with a folded pink napkin. 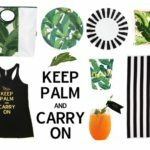 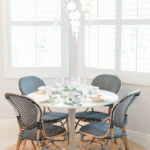 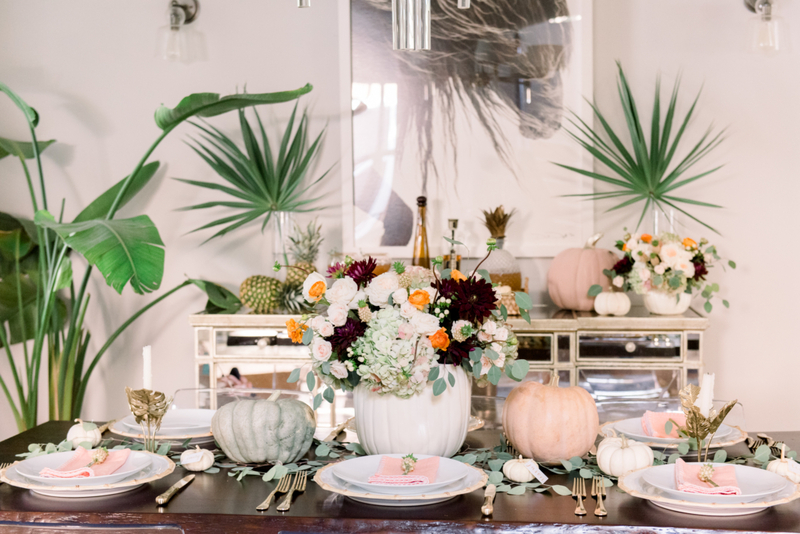 For the bar, we mixed pumpkins and pineapples along with our usual decor of palm leaves, rattan tray <similar here>, hurricane and raffia basket. 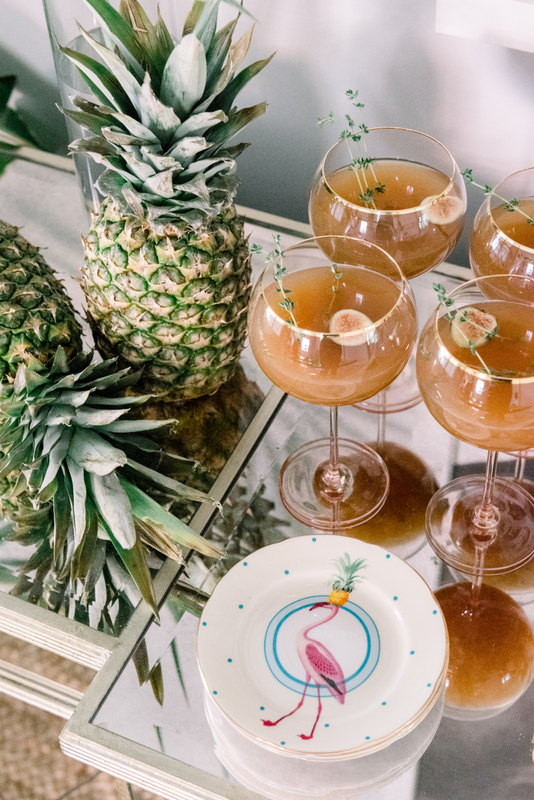 We served a signature cocktail from our pineapple decanter in our favorite blush wine glasses. 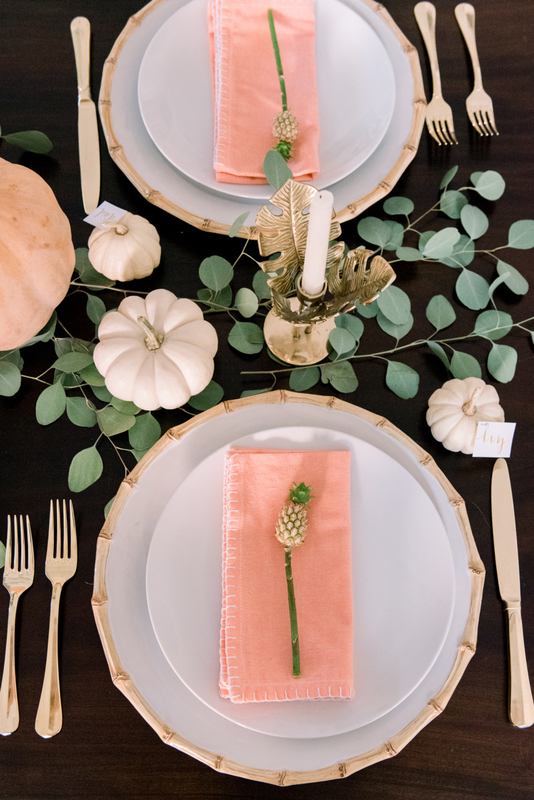 How cute are these pineapple and flamingo plates from Anthropologie?! 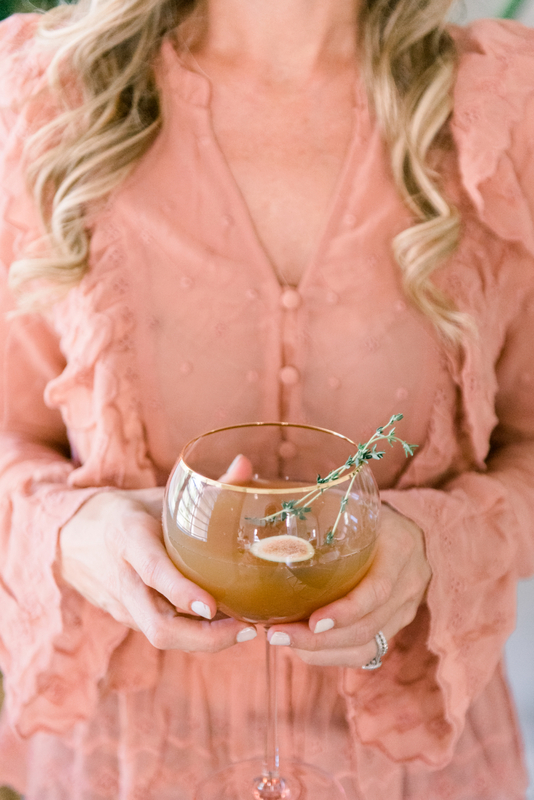 We incorporated this yummy fig and honey cocktail recipe we found from Hello Glow. 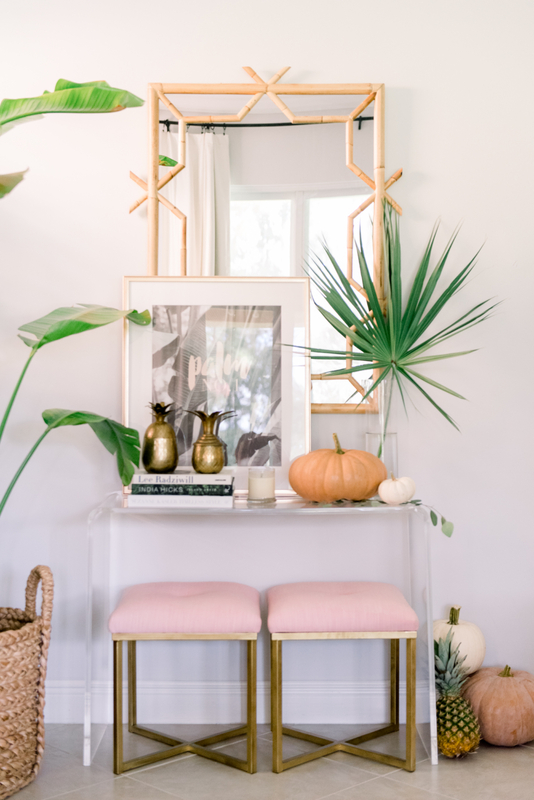 We added some pineapples and pumpkins to our acrylic console to add a little more fall feeling in the room. 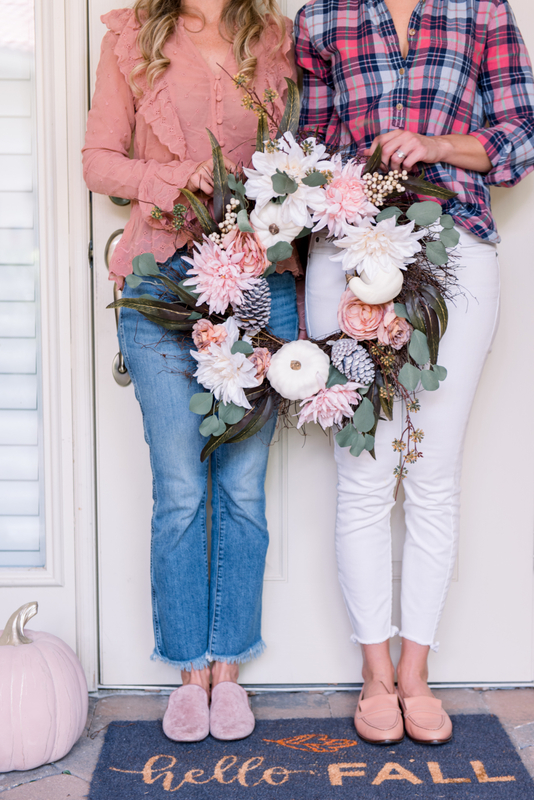 It was like this wreath <similar here> was made for us! 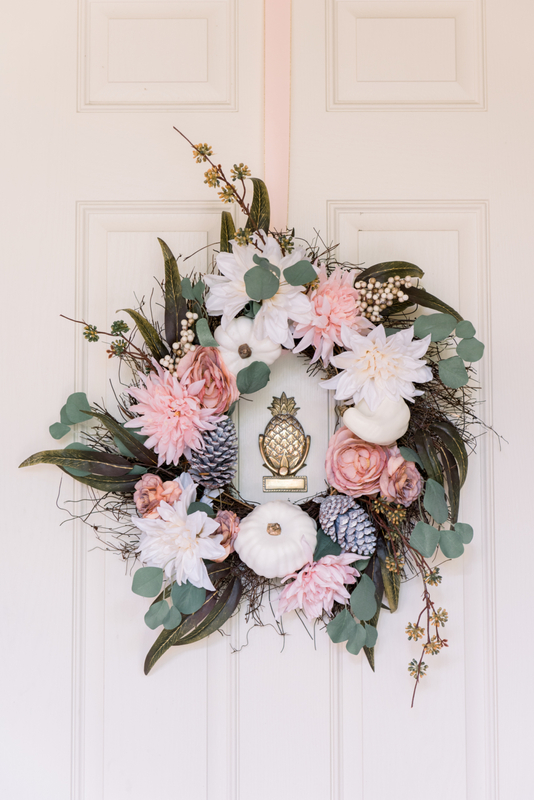 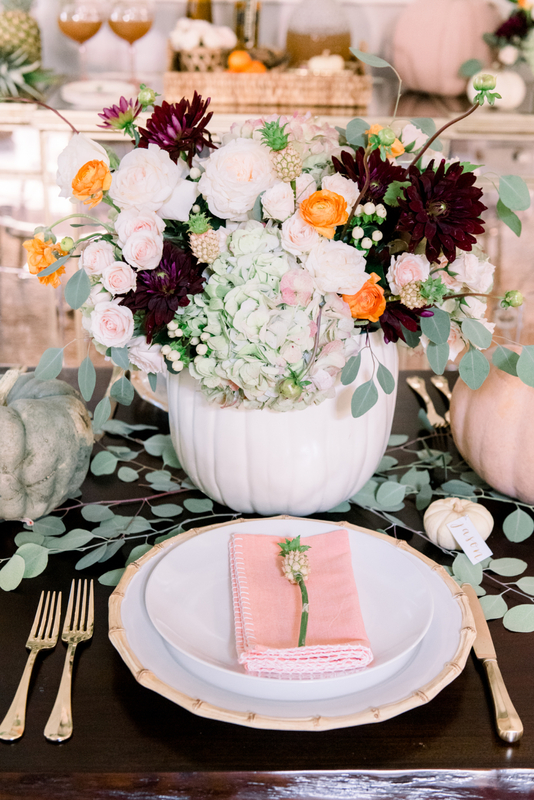 Blush blooms and white pumpkins pairs perfectly with our pineapple doorknocker.